Big data, online banking, and e-commerce have brought on a new age of data and computing. Firetrace automatic fire suppression systems will not only protect the valuable equipment that protects your data against loss but also reduce the downtime of critical business operations. A fire can blemish your reputation for excellent service and can cause your company to break strict service level agreements (SLAs) with customers. A Firetrace system can preserve your reputation and save your company from the headaches of customer remediation and SLA fees. 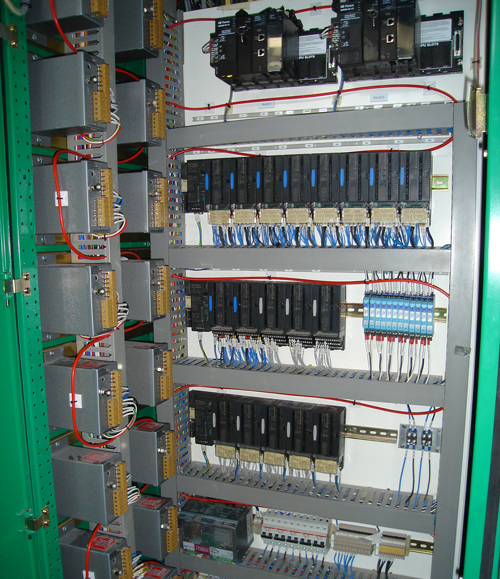 Firetrace systems do not require any electricity to operate. They are functional 100 percent of the time—even in the event of a power outage. We also offer a low-pressure solution where activation can occur through a smoke detector or building alarm. Firetrace recommends our self-activating, stand-alone fire suppressing solution that detects and suppresses fires inside of any electrical enclosure and server rack. In addition to in-cabinet fire protection, Firetrace offers advanced E4 Total Flooding Clean Agent systems that can protect entire rooms in data centers. Your data is more valuable than ever, and so are the service level agreements (SLAs) with telecom data centers. Most telecom service providers have very strict SLAs that require them to provide 99.99999 percent or more uptime, which translates to about 15–20 minutes of downtime annually. Our system allows fire detection and suppression inside of the hazard, so a growing fire can be caught quickly, slowing the spread of fire to other parts of the building. By containing the fire to the individual enclosure, the damage is limited, and the collateral damage or downtime often caused by traditional fire suppression is avoided. Cloud servers are rapidly becoming an integral part of many companies’ IT infrastructures. With all of the electrical components associated with cloud servers, electrical shorts and electrical fires create a genuine threat that can destroy equipment and increase the amount of costly downtime. Our cloud server systems are available with an optional pressure switch that can be tied into an emergency power off switch or alarm system to notify you when a fire event occurs. In many cases, fires occur when server racks and enclosures are susceptible to faulty electrical connections, power surges, malfunctioning power supplies, or short circuits. Our server rack suppression systems are available with an optional pressure switch that can be tied into an emergency power off switch or alarm system to notify you when a fire event occurs.